A Classic is an object of the highest quality of its kind, a standard to inspire others. 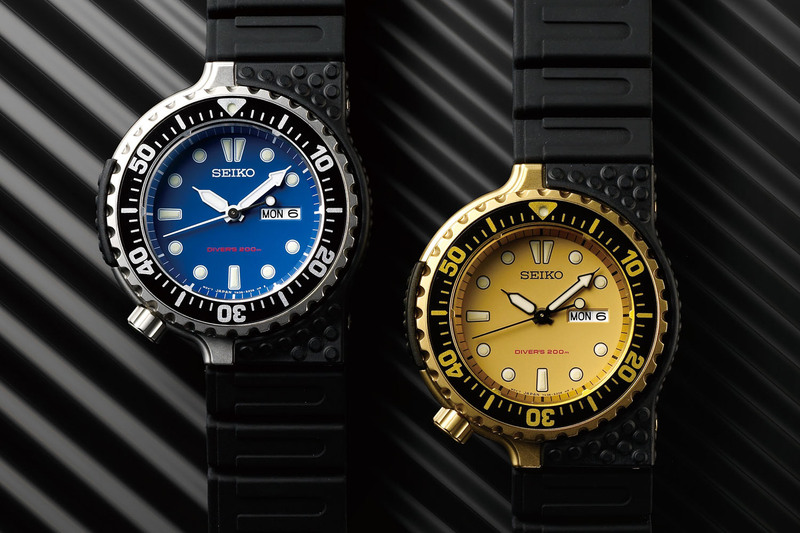 Remember our story about the ‘cheapest high-end watch?‘ That story defined Seiko’s entry-level mechanical watches; however, Seiko also creates extraordinary timepieces on an entirely different level, as we’ve shown you before on many occasions. This year at Basel, Seiko celebrates its 100 years of watchmaking. And as a sign of their confidence, they weren’t exactly afraid of re-inventing the wheel. 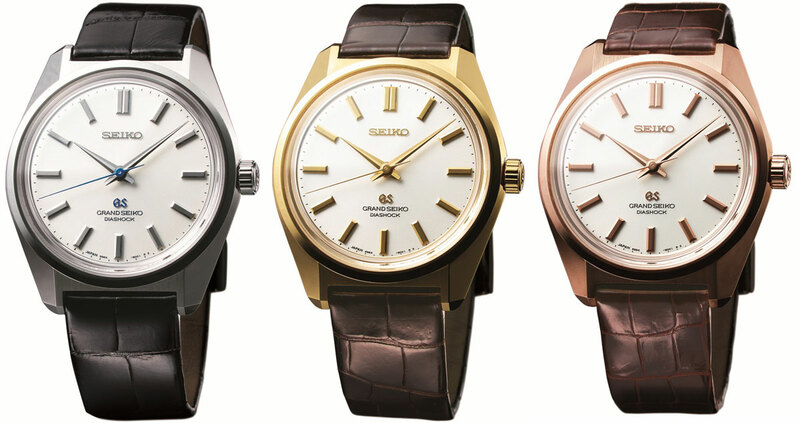 The company introduces a new limited edition re-issue of the Grand Seiko 44GS. The 44GS, as most Seiko collectors would know, is THE timepiece that sets the standard for all GS design moving forward. 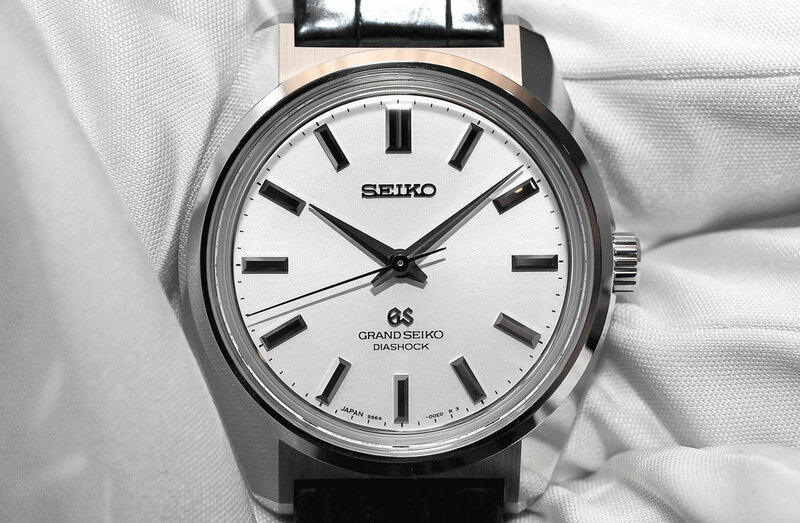 It was the first GS that embodied the iconic characteristics and razor sharp edge design of the “Grand Seiko Style”. 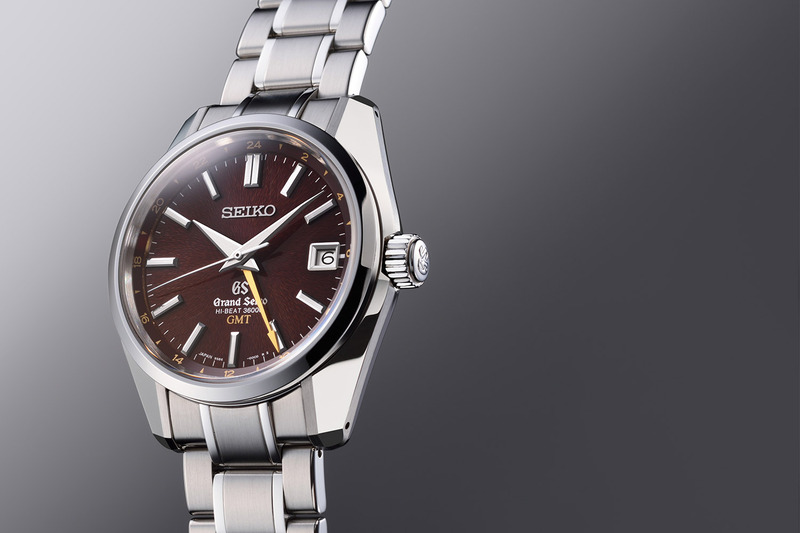 It was a perfect blend of engineer and art, and essentially became the company’s symbol for high precision and luxury timepieces; they called this “the grammar of Seiko design”. The new limited edition of the 44GS (I simply refuse to call this a replica) is a perfect recreation of a true classic. Nothing was compromised in the design; every aspect of the exterior case is as faithful as it can be to the 1967 classic. 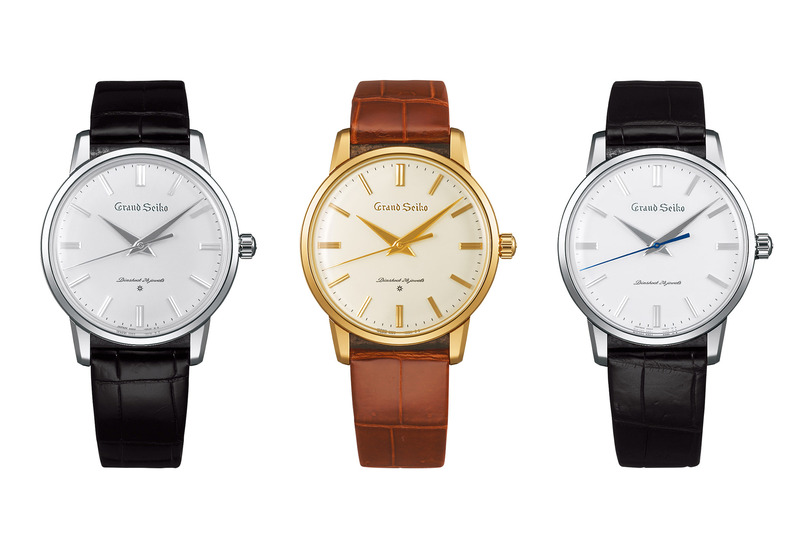 The GS emblem on the case back, the same case diameter (37.9mm) and the same dial, hands and index design as the original (apart from the difference in precious metal used in the other variants). The 1967 44GS was powered by the hand-wound 27 jewel caliber 4420B that beats at 18,000 vph (5 ticks per second). Back then, the movement was build and adjusted to Seiko’s chronometer objection. In contrast with the original, 2013 version features the same aesthetics as the original, however movement wise, they chose to increase the beat rate. The 44GS collection is powered by the newer caliber 9S64, which was released back in 2011. A high-accuracy hand-wound 24 jewel, 28,800 vph (or 8 ticks per second) caliber with a 72 hour power reserve. There will be four models in the collection, three pieces in gold (white, yellow and rose) and a stainless steel version that serves as a tribute to the original, all of which will feature the same movement and size. The size of the case may be the same, but a box shaped sapphire crystal glass will be coated with Seiko’s proprietary anti-reflection coating on the inner surface. 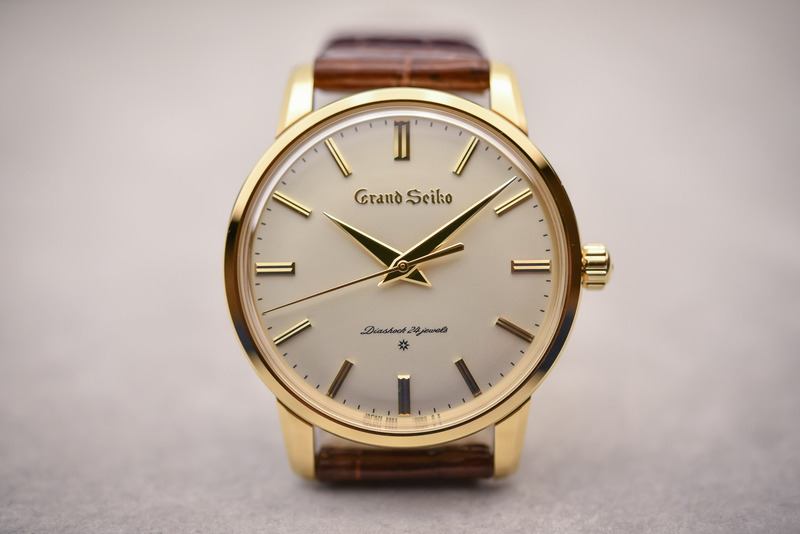 ￼￼￼The new GS will be limited to 700 pcs for the stainless steel version (SBGW047), and 70 pcs for each of the gold versions (SBGW043, SBGW044, SBGW046). Pricing for the precious metals are steep, at € 19,000 Euro for the yellow and rose Gold and € 20,000 Euro for the white gold version. The stainless steel is priced at € 5,700 Euro. All versions will be available in June internationally, so if you are in the market for a classic GS, better get one soon as the limited nature of these pieces would surely sell fast. Personally, I would chose the precious metal versions over the steel version, but that’s just a matter of personal opinion. The end result is a brilliant classic, and I guess it will be sold out rather fast. What Seiko did here, is not exactly groundbreaking in terms of innovation and technical feat, however the classicality is striking. The minute modern improvements added such as the newer movement, sapphire crystal and anti-reflective coating simply extends its heritage. 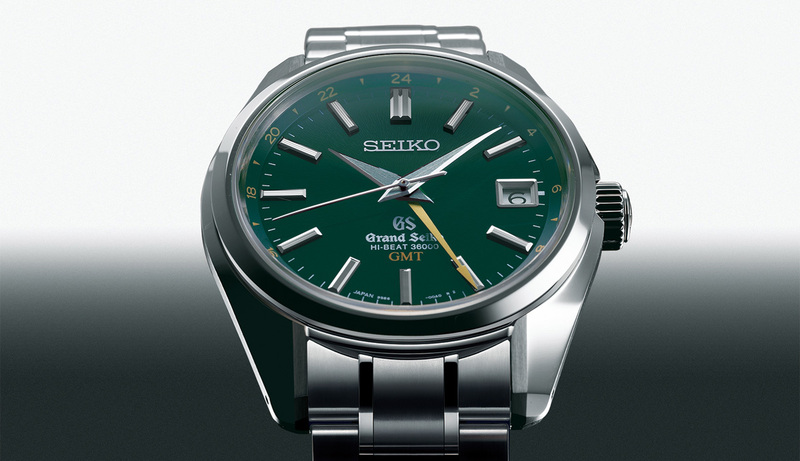 Full specifications and more details can be found over at Grand Seiko webpage. Thanks to Jason Pitch from Professional Watches, for letting us use his photo as the opening photo.